www.neueenergie.net / www.newenergy.info are the news websites of neue energie, Germany’s leading trade magazine for the renewables sector and the country’s switch to renewable energy sources. We produce in-depth coverage of topical issues and energy-related political and economic developments, and report on the latest technology in renewable energies. We provide objective analysis of current energy policy, while also informing you about innovations and potential in the field of renewable energy. This is our team of editors, employees and reporters. Jörg-Rainer Zimmermann was born in 1967 in Stuttgart. After studying German and philosophy at Freie Universität Berlin, Jörg-Rainer worked for leading newspapers in Berlin/Brandenburg (including Berliner Morgenpost/Die Welt, MAZ, MOZ). Before joining the neue energie team in 2010, he served as economics editor for the Märkische Oderzeitung. Astrid Dähn, born in 1970, studied mathematics and physics in Tübingen and Berlin. 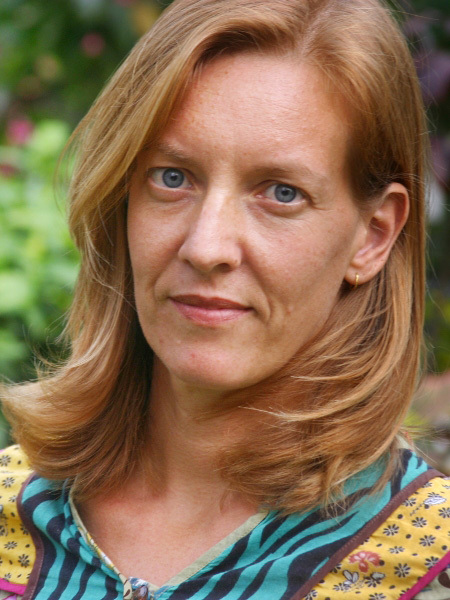 After completing her postgraduate degree in science journalism, Astrid worked as editor for the Berliner Zeitung and the weekly newspaper Die Woche. She then went on to work as managing editor for the science magazine, Technology Review. She started at neue energie in 2009 and has since given our texts the finishing touch. Tim Altegör, born in 1983, is from the Ruhr area and studied political sciences and English in Bochum. After working at the German Renwable Energies Agency and for a member of the European Parliament, he was trainee journalist at neue energie since 2013 and became editor in 2015. Isaac Bah, born in 1978, studied economics und European Studies in Maastricht und was trainee journalist at zoomer.de and Tagesspiegel Online in Berlin. He subsequently worked as freelance writer for various online media, agencies and in the TV sector. Since 2013 he is part of the editorial team at neue energie. Michael Hahn, born in 1982, is from Marburg. After his training as an industrial mechanic in operating technology, he studied media sciences and completed his masters degree in media and cultural practice. He then worked freelance for a newspaper and since October 2015 at neue energie. Silke Reents, born in 1969, grew up in northern Germany and has lived in Berlin since the fall of the Berlin Wall. A qualified master photographer, she previously worked in the animated film business, as well as in the photo editorial team at the news agency dapd. Silke has also worked as a freelance photographer for 20 years. She has been responsible for photo selection and layout at neue energie since 2007. Claudia Mathes, born in 1966, trained as a clerical assistant. She joined neue energie in 2003 when the magazine was still based in Osnabrück. Claudia coordinates the editorial activities, manages the subscription service and generally makes sure that everything runs smoothly in the editorial team. Nikola Gericke, born in 1970, joined neue energie in 2006 when the magazine moved to Berlin. The only native Berliner in our team, Nikola looks after the subscriptions service, stands in for our editorial team assistant Claudia, and is always happy to help out as needed. Bernward Janzing, born in 1975, studied geography, geology and biology, and trained as a journalist at Badische Zeitung. He has worked as a freelance journalist in Freiburg since 1995. His main fields are the energy sector, energy technology and climate protection. Katja Dombrowski, born in 1973, studied communication in Essen and trained as a journalist at Braunschweiger Zeitung. She was press officer of a circus, development worker in training journalists and editor at news agency afp. Her dream to work as a foreign correspondent first came true in Cambodia, then in Ruanda and in Thailand.